Visiting Rome should be on everyone's bucket list... Here are some ways that you can see all the sights, and still save money. We will look on how to save on accommodations, travel, food and tourism costs. Staying close to a Metro station is the best way to save money on your accommodations. Rent an apartment that is as far away from the city center as you can get, yet as close to the two Metro lines that service Rome. 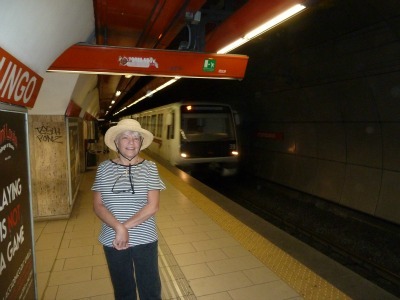 Here is a picture of Julie while waiting to go the Coliseum, the Metro is clean, safe, very fast and costs 1.5 euros, per trip. 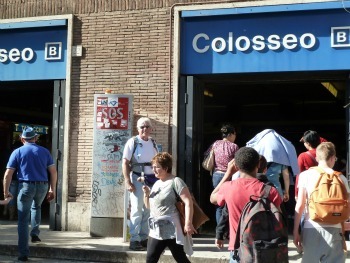 Here is more info on Metro/bus tickets in Rome... Kids under 10 ride for free. When choosing your accommodations, rent an apartment, so you can save the expense of eating out... A real budgeting killer in Rome. This Metro stop is literally across the street from the entrance to the Coliseum, a short walk to the Forum, the Trevi fountain and the Spanish steps. Avoid taking cabs at all costs, they are expensive, and some drivers are unscrupulous. Italian train travel, is the easiest and by far the cheapest way to explore the major cities of Italy. On our first trip to Rome we spent three nights in a hotel, that was very close to the Rome Termini, from the central train station you can get to any city in Europe, the airport... Etc. We walked with our luggage to the train station and from there were whisked to the airport in about 30 minutes... cab fare would've been over hundred dollars. You may say what is the attraction of Rome without trying the local cuisine... It's extremely expensive... I can get all the Italian food I want on a cruise ship. By renting an apartment, in the suburbs, you will be close to grocery stores, prepare your own breakfast's and dinner's and make snacks that you can eat during the day... Drinking water is not a problem, there are public fountains everywhere just remember to take a bottle for refills. If you stay away from the city center, and this applies to any city in Europe, and shop at the local grocery stores... You can buy cheap wine, beer, bread, cheeses and meats and eat and prepare your meals away from the crowded and expensive tourist spots. For 12 euros you can buy a ticket that will allow you entrance to the Roman forum, the Coliseum, and Palantine Hill. 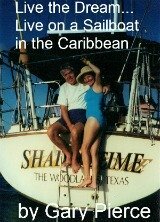 To save on the cost of a tour guide, go to Rick Steve's website, there you can download for free, audio guides that you can listen to on your iPad or smart phone. His website, and the free audio tours, are a great way to travel the major cites in Europe... Especially Rome, and you cannot beat free... Okay you might want to buy one of his guidebooks... We bought the guidebook for Florence, and used it every day that we were there. Thanks for reading frugal Rome...Hope you picked up some money-saving tips, Ciao.